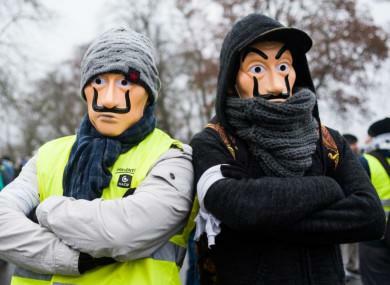 A free speech debate is brewing in France after lawmakers have backed a bill banning protesters from hiding their faces during demonstrations, according to Reuters. 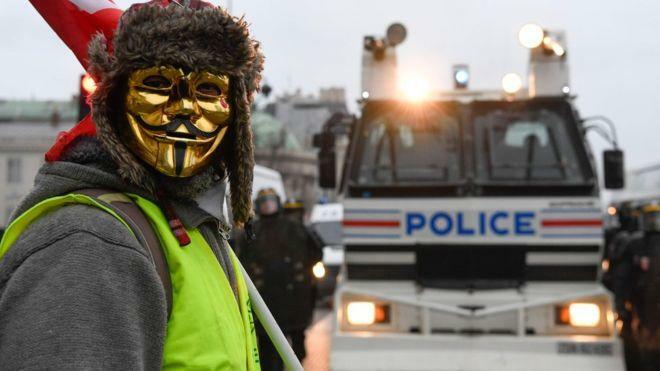 The legislation seeks to make it easier for facial recognition systems to identify rioters, and carries a penalty of up to a year in prison and a 15,000 euro fine. 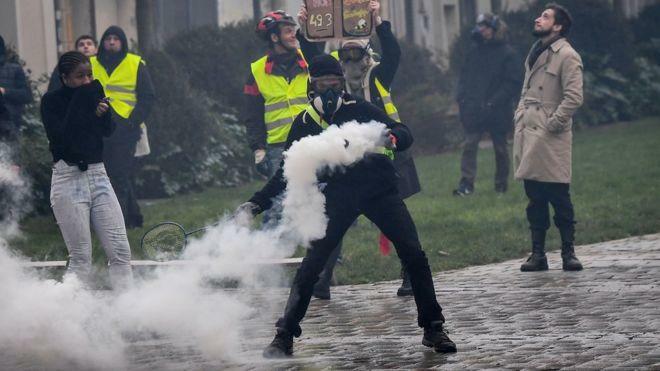 The "anti-casseurs" (anti-hooligan) bill which is expected to secure approval next week also grants French police greater powers to identify and detain potential troublemakers from demonstrations. Addressing the lower house National Assembly, Interior Minister Christophe Castaner urged members to “stop the brutes ... (who listen) only to their hunger for chaos”. "We’re not restricting freedoms, we’re ensuring that freedoms can be guaranteed," said a spokeswoman for French President Emmanuel Macron, Aurore Berger. 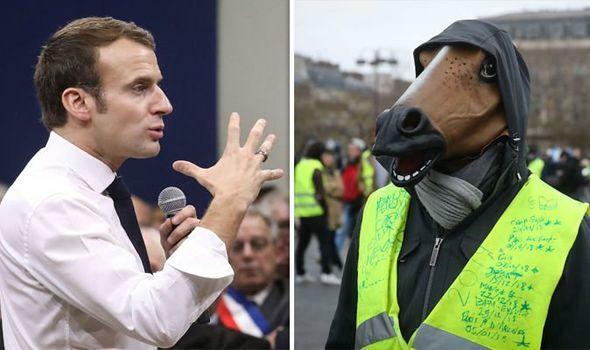 "We’re not talking about any French citizen chosen at random, we’re talking about those who have hurt others, those who want to kill and destroy property," Berger told BFM TV on Thursday following the overnight vote. The anti-mask bill has drawn criticism from the center-left of French politics, with some describing the measures as "authoritarian." In response to the violence, four key measures contained within the "anti-hooligan" bill have been approved by French lawmakers ahead of Tuesday's vote on the overall package. Previously, judges could issue such an injunction as part of a case - but the power to ban a person from protesting will now also be granted to regional administrators. Of course, many of the protesters are donning gas masks to protect against tear gas fired by the police. We assume they'll be prosecuted as well.